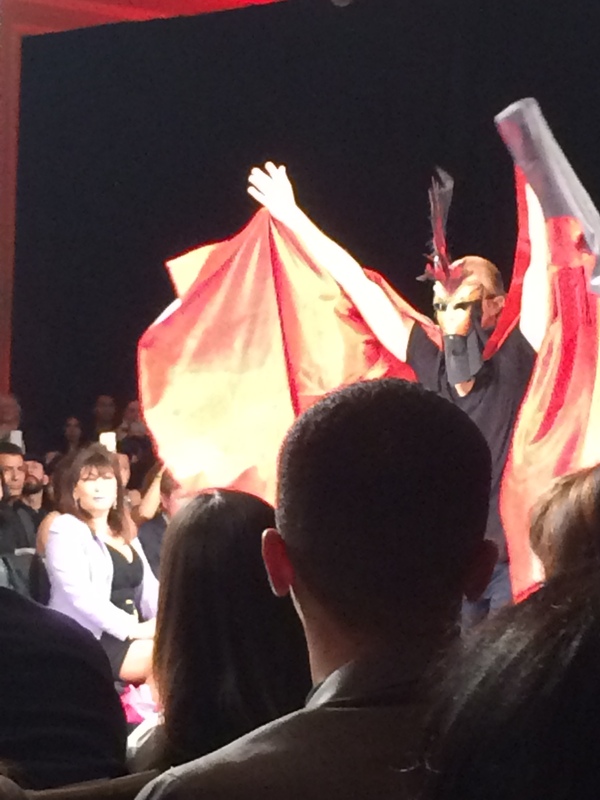 Los Angeles Fashion Week kicked off last Monday (October 5) with fashion designer Sue Wong’s Alchemy & Masquerade. 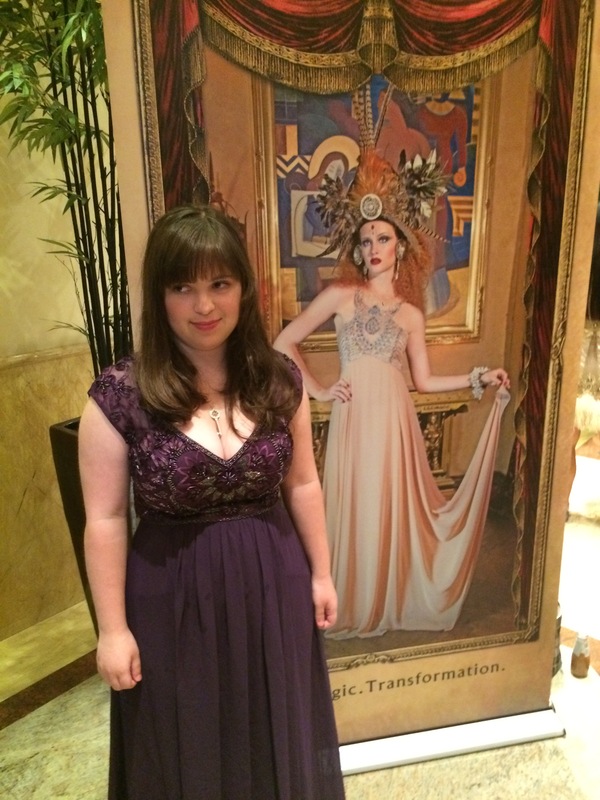 My dear friend, Corby Waste, invited my daughter and I to attend this lavish event celebrating glamour and beauty. Sue Wong is truly an impressive woman. She is not only incredibly talented and beautiful, but her passion and drive for success is inspiring. 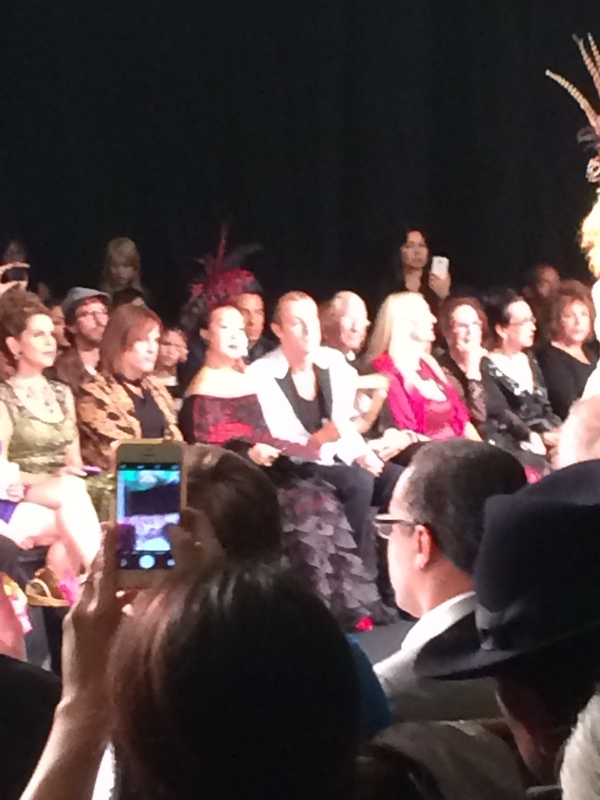 To see Ms. Wong sit in the front row for her fashion show, too, was remarkable. Her sleeveless red and black gown was elegant and romantic, and her headpiece, also red and black was truly stunning. Her energy was positively radiate and contagious. Prior to the runway walk, her chaperon, the handsome Prince Mario-Max Schaumbur-Lippe performed a dance to the music from The Phantom of the Opera. His parents were also in attendance, making it indeed a royal evening. The family will be honored at Michelle Long’s “Avante Garde Magazine Gala Ball” in collaboration with Sue Wong this Halloween night in Whittier where guests are asked to dress “Marie Antoinette meets Phantom of the Opera and Beyond” – sounds like fun, if you’re willing to drive to Whittier. The show itself was a joy to watch. 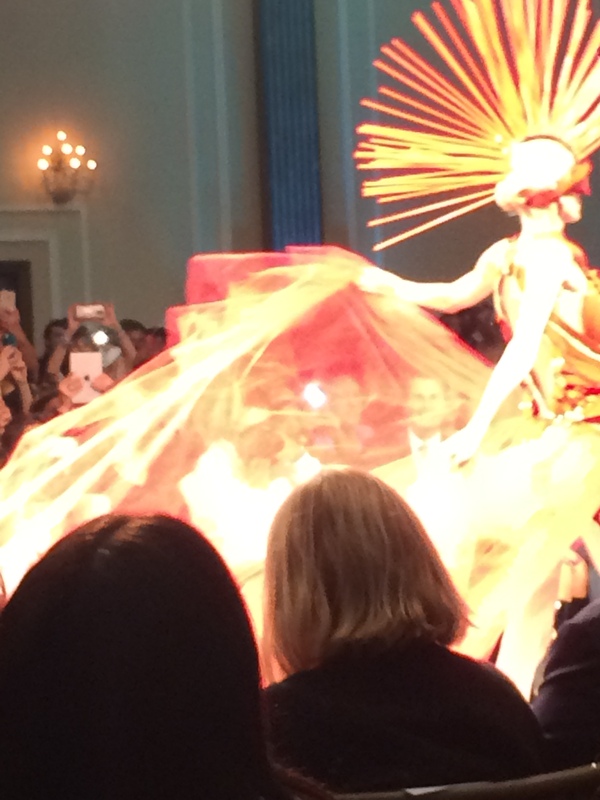 Every model wore a gorgeous gown that was reminiscent of the romantic art deco fashion of the 1930s. (instant fantasies came to mind of the parties, wit and glamour of bygone days and what is yet to come…) The headpieces were spectacular as well. A few I myself would love to wear, at least once! To tie it altogether, the music fit each segment perfectly. Brava, Ms. Wong! The best of all, of course, was to see my daughter’s face light up. We were both inspired.